A lifetime study in Labrador Retrievers found that dogs who were trim lived on average 2 years longer than their slightly overweight siblings (15% overweight). These slim dogs also had delayed onset of chronic illnesses. Also, a new study has shown decreased quality of life when pets are overweight and improvement of these measures (such as vitality and pain) after successful weight loss. In the lifetime study of Labrador Retrievers mentioned above, leaner dogs also had delayed onset of osteoarthritis compared to their overweight counterparts. The mechanism is not completely understood, but it is likely increased force on the joints as well as inflammation the can result from extra fat tissue (see more below!). Fortunately, even weight loss as small as 6-8% of totally body weight has been shown to improve lameness in dogs with pain due to arthritis. A study of 700 dogs showed obese dogs of all breeds were at increased risk of intervertebral disc disease (slipped disc), but in high risk breeds like the Miniature Dachshund, even being moderately overweight increased risk. For those dogs that must undergo disc surgery, another study supports that dogs recover faster if they’re ideal weight. We now know fat tissue can be a source of constant inflammation throughout the body that can put dogs at risk for other diseases. You might not see these changes, but be aware that this fat, instead of just sitting there, is putting out hormones that can increase inflammation in the body. The best time to fix this is before you even see any problems in your dog! Though dogs are not at risk for coronary artery disease like humans, obesity in dogs has been associated with mild heart changes and reduced respiratory function and tracheal collapse. Though we don’t have reason to believe obesity causes these diseases, it certainly complicates the condition and makes the disease harder to treat. In patients with heatstroke, obesity was also found to be a risk factor for worse outcomes. There are problems stemming from obesity that involve almost every system in the body. 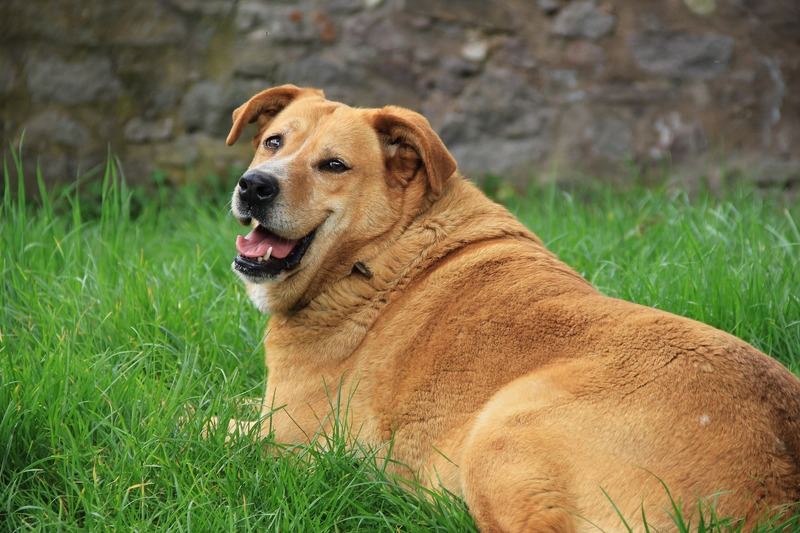 Even without signs you can see, obese dogs have higher anesthesia risks and medical costs. 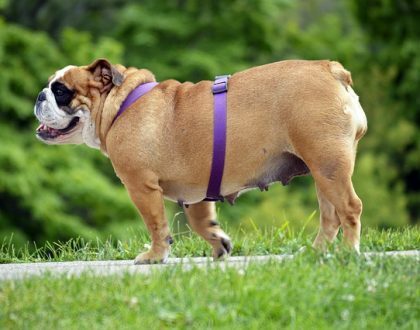 Excess weight is easier to prevent than treat, so keeping a lifelong healthy weight will help keeps dogs healthier and happier and maximize their lifespans. See tips for how to address this in our previous post on tips for those struggling with weight loss in their pets: http://vetnutrition.tufts.edu/2017/07/battling-the-bulge-troubleshooting-tips-for-pet-weight-loss/. Effects of diet restriction on life span and age-related changes in dogs. Kealy RD, Lawler DF, Ballam JM, et al. J Am Vet Med Assoc 220(9):1315-20, 2013.